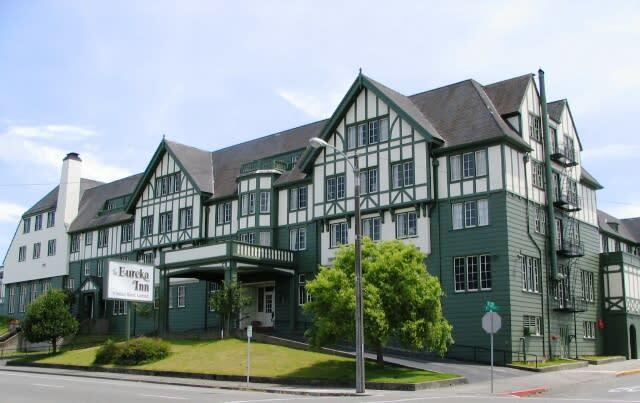 Listed in the National Register of Historic Places Located in the heart of Eureka, this block wide 104 room Tudor Revival historic hotel was originally built in 1922 and has been under continuous renovation under the past decade. 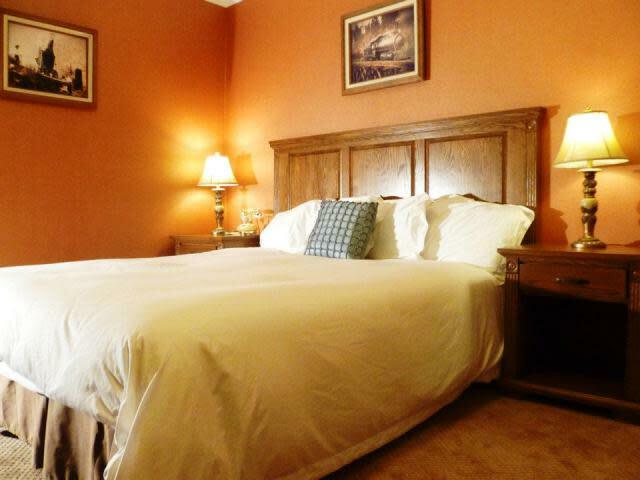 Throughout the years, Eureka Inn has seen many famous faces, such as Sir Winston Churchill and past president Ronald Reagan. Conveniently situated within walking distance of Eureka’s historic Old Town district, yet far enough away from the bustle of Highway 101. 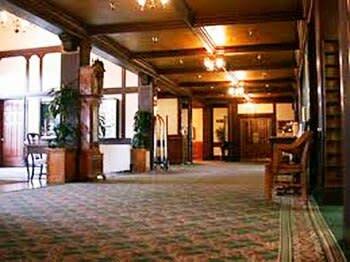 On-site restaurant (Bristol Rose Cafe), and a bar/lounge (Palm Lounge) are available at this smoke-free hotel. 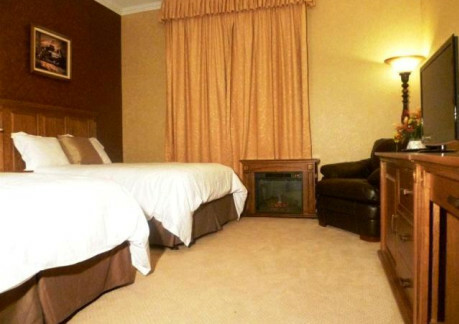 The guest rooms and suites, have been modernized with new telephones, LCD televisions, and Direct TV. 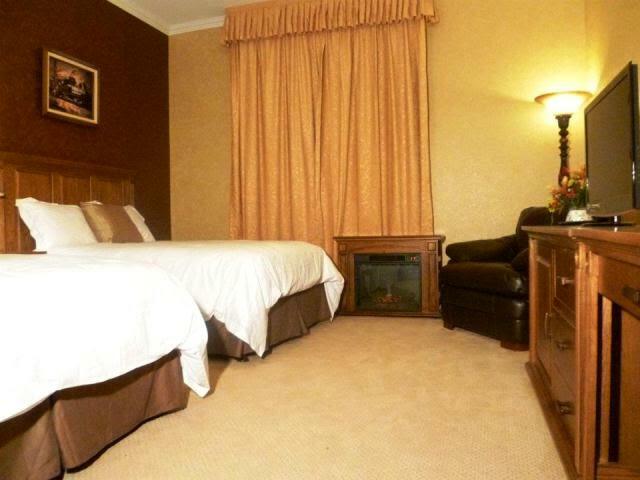 Walking distance to old town shops and restaurants.